to get hired and fired from a job! 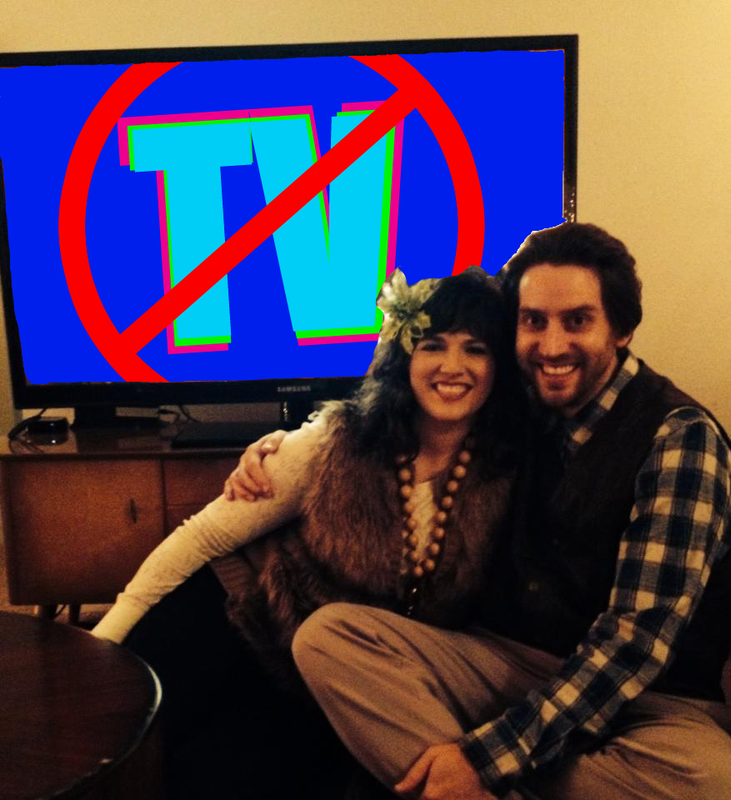 When Callie and I started our NO TV non-project, we specified the only exceptions would be the Super Bowl (a huge disappointment) and The Olympics (I'll be skipping that). Callie and I have been really good about sticking to this! It's been 22 days- and I haven't missed TV for a second. It was actually quite annoying to watch the Super Bowl. Totally not worth it. Even the commercials were a let-down. By the way, since when did commercials become an annual highlight? That is sad. I don't know what statement that makes about society in general, but in my mind, I can hear Russian composers working on the tragic music to accompany that statement. Anyway, aside from that planned- and now regretted- Super Bowl exception, I have gone 22 days since watching TV! It has been great! 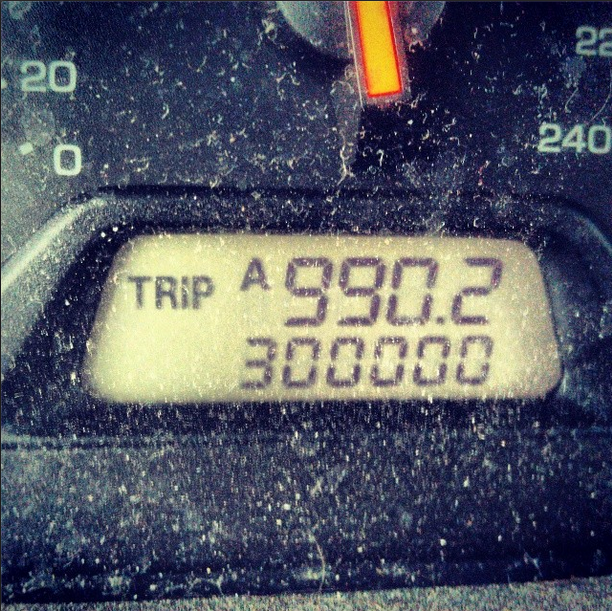 My Honda hit 300,000 miles! 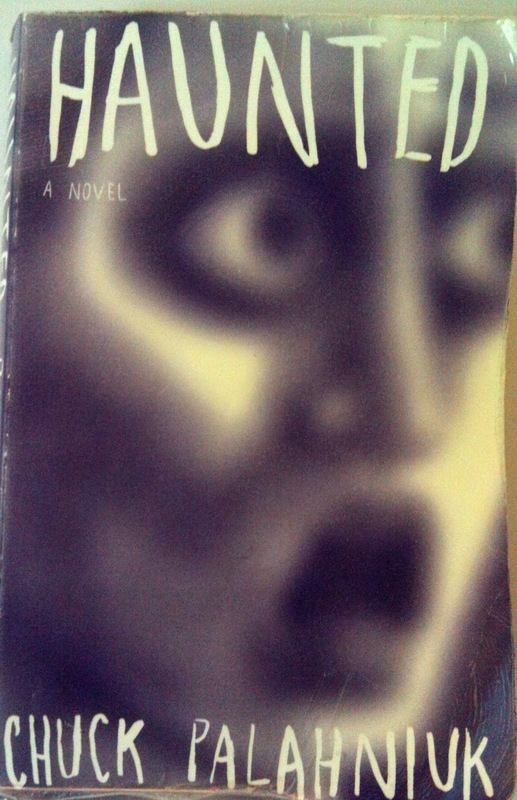 During my time away from TV, I read my first Chuck Palahniuk book, Haunted. The language is as viscerally vivid as Bret Easton Ellis's American Psycho, but with the range of Vonnegut's short story book, Welcome To The Monkey House. I don't want to give it away, but some of the gruesome short stories in there have actually made real-life people faint. It's just. So. Enjoyable! I also drove 3,000 miles last week. During that time, instead watching Netflix while I drove (like I normally do) I listened to audiobook versions of some of Palaniuk's other fine works, Survivor, Choke, and now Fight Club. Survivor is an entertaining masterpiece about the final survivor of an puritanical, suicidal, white slave-ical cult. It's pretty funny and enlightening. This is a really simple summary. Choke was definitely better than the movie. The movie was fun, but the book was better! This is a really, really simple summary. As a bonus, at the end of the Choke audiobook, Palahniuk (as himself) talks to the listener. He explains how he went 10 years without TV. Cool! I could see myself doing that. I know that it is worth it. Haunted! Read it or I'll haunt you! Then he talks about how he doesn't write books; he just organizes his thoughts. Wow. I have files and files and files of thoughts written on paper, or filed on my computer, filed by topic after topic within super-topic after super-topic. My files span almost 2 decades. I just filed some writings from 1995. Perhaps without TV, I can organize some of those thoughts into a work, a book, or my next stand-up comedy act. It's impressive how much more fulfilling your life is when you turn your TV time into secretarial time. Organize your works and you won't have to create what you already have. I've only gone 22 days without TV, not 10 years. Let's see some results before I pat myself too hard on the back. Life isn't just about what you abstain from; it's about what you do. Now that I am done with my copy of Haunted, I no longer need it. I don't need a library of books I've already read to prove to people that I have good taste in literature. I need more space, more emptiness. But you can add this masterpiece to your collection for only $3*! It's such a great book, you'd be foolish not to buy it! I gave Haunted to a friend. So, too late! Ha! Guess you'll have to spend that $3 on something else, like 3 condoms!